The 2018 Gift of Light Campaign is sure to be one of the brightest yet! 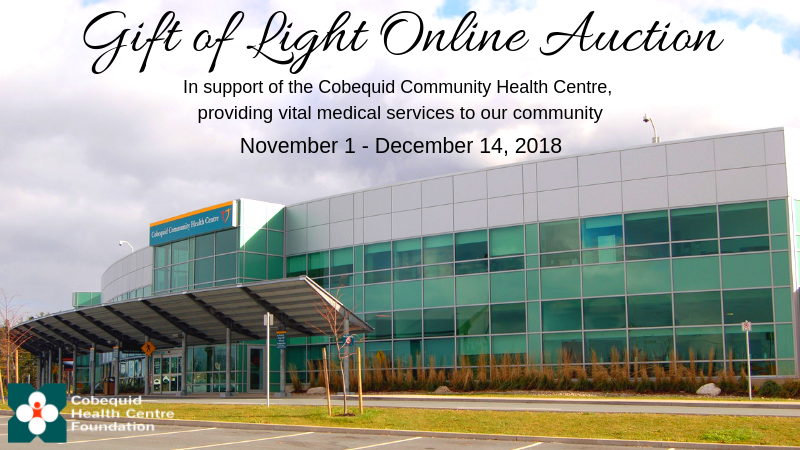 With the 10th annual Tree Lighting, an online auction filled with great items, and a ski adventure raffle basket, there are many ways to contribute to the Cobequid Community Health Centre this season. 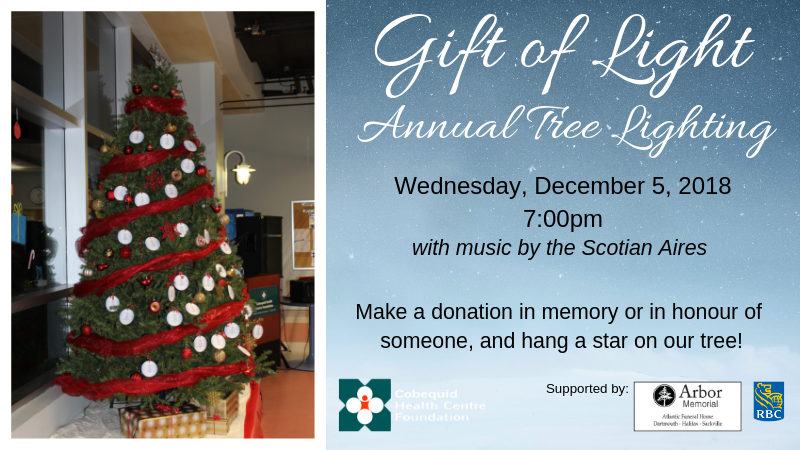 Make a donation in memory or in honour of someone, and hang a star on our tree displayed in the lobby of the Cobequid Community Health Centre! A special note will be sent to the recipient or the recipient’s family informing them of the gift. Buy a raffle ticket for a fantastic ski adventure basket that includes two lift tickets and equipment rentals for Martock! 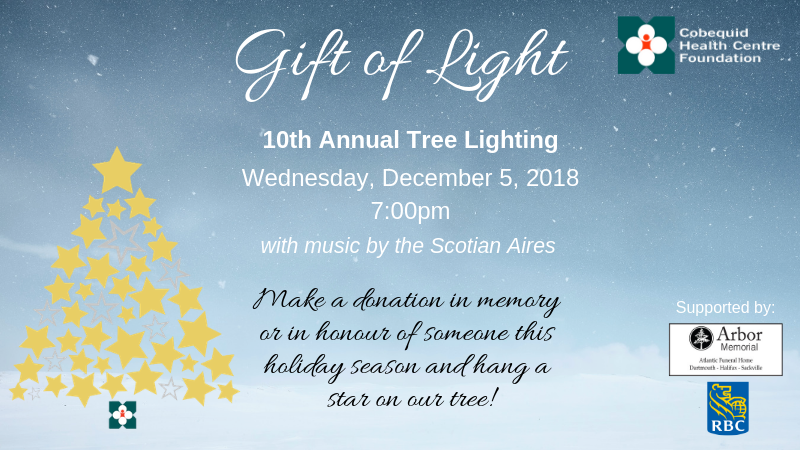 Cobequid Health Centre Foundation is holding its 9th Annual Gift of Light Tree Lighting Ceremony on Wednesday, December 13th, 2017 at 7:00pm at the Cobequid Community Health Centre, Main Lobby. With musical performances by the Scotian Aires! Below is a video highlighting donations from the 2017 campaign.